Richard B. 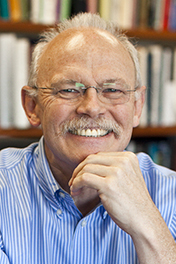 Alley, Evan Pugh Professor at the Pennsylvania State University, is the recipient of the Arthur L. Day Prize and Lectureship. Alley is being honored for his innovative studies of the flow of ice sheets and ice streams, which have important implications for the stability of Earth's major ice masses in Antarctica and Greenland. He greatly enhanced the ability to date and interpret annual layers in ice cores and thus added precision to understanding of past variations in climate. Alley, who is widely noted for his speaking skills, is awarded $20,000 and funds to present a series of Day Lectures that will summarize and synthesize current knowledge in the field of ice dynamics and climate change. The Day Prize is awarded every three years to an individual who has made lasting contributions to knowledge of the physics of the Earth. 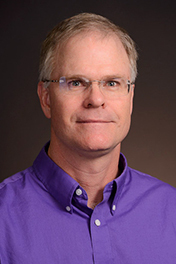 Marvin H. Caruthers, Distinguished Professor of Chemistry and Biochemistry at the University of Colorado, Boulder, is the recipient of the NAS Award in Chemical Sciences. 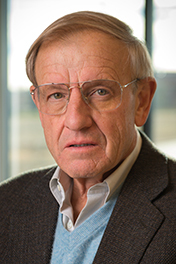 Caruthers is being honored for his groundbreaking work on the chemical synthesis of DNA and RNA that made it possible to decode and encode genes and genomes. Supported by the Merck Company Foundation, the award and $15,000 prize honors innovative research in the chemical sciences that contributes to a better understanding of the natural sciences and to the benefit of humanity. 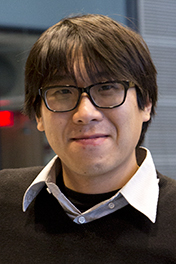 Garnet Kin-Lic Chan, A. Barton Hepburn Professor of Theoretical Chemistry at Princeton University, is the recipient of the William O. Baker Award for Initiatives in Research (formerly the NAS Award for Initiatives in Research) - presented this year in the field of numerical simulations in condensed matter and materials. Chan has performed pioneering research in the field of numerical simulation of highly correlated quantum systems in chemistry and physics. Such calculations will quantify and predict many properties of materials important to chemistry, physics, and biology. Supported by Alcatel-Lucent Bell Labs, the Baker Award includes a $15,000 prize and recognizes innovative young scientists and encourages research likely to lead toward new capabilities for human benefit. Joseph L. DeRisi, professor, Howard Hughes Medical Investigator and Gordon Tomkins Chair at the University of California, San Francisco, is the recipient of the John J. Carty Award for the Advancement of Science. DeRisi is being honored for developing new genomic technologies and using these technologies to make discoveries in virology that are of fundamental and practical importance. The Carty Award, presented with a medal and a prize of $25,000, is given for noteworthy and distinguished accomplishment in any field of science and is presented this year in the field of genome biology. Allison J. Doupe, professor of psychiatry and physiology at the University of California, San Francisco, is the recipient of the Pradel Research Award. 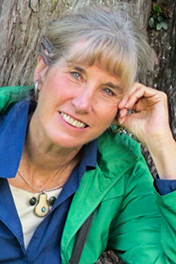 Doupe is being honored for her groundbreaking work using songbirds to reveal important features of how neural circuits process information and are shaped by experience. The Pradel Research Award includes $50,000 to support the winner's research. 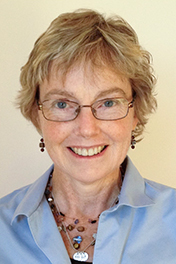 Sarah Blaffer Hrdy, Professor Emerita of the University of California, Davis, is the recipient of the NAS Award for Scientific Reviewing – presented this year in human-biosocial interactions. Hrdy has published a series of books and scholarly reviews that have drawn together data and concepts from across the social and biological sciences to synthesize a new understanding of the ways in which natural selection has shaped women's lives, mother-infant interactions, and the foundations of human sociality. Her work epitomizes the creativity and insight that can generate important syntheses of contemporary research and set research agendas for the future. At the same time her writing is marked by a clarity and liveliness that makes path-breaking science accessible to the public. Together with a prize of $10,000, this award recognizes authors whose reviews have synthesized extensive and difficult material, rendering a significant service to science and influencing the course of scientific thought. The award is supported by Annual Reviews in honor of J. Murray Luck. 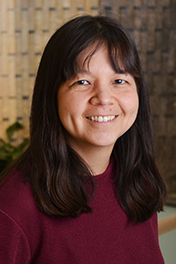 Deborah S. Jin, a physicist with the National Institute of Standards and Technology, professor adjunct in the department of physics at the University of Colorado, and a fellow of the JILA, is the recipient of the Comstock Prize in Physics. Jin is being honored for landmark experiments that demonstrated quantum degeneracy and the formation of a molecular Bose-Einstein condensate in fermionic atomic gases cooled to less than 100 billionths of a degree above zero using magnetic traps and lasers. The Comstock Prize presented to recognize a North American resident for a recent innovative discovery or investigation in electricity, magnetism, or radiant energy. The Prize carries an award of $25,000, plus $25,000 to support the recipient’s research. Robert Kirshner, Clowes Professor of Science at Harvard University, is the recipient of the James Craig Watson Medal. Kirshner is being honored for his contribution to our understanding of both supernovae and the structure and evolution of the universe. His work with students using supernova light curves as calibrated standard candles has provided evidence for an accelerating expansion of the universe. The dark energy inferred from this result is one of the deepest mysteries of modern science. The Watson medal is presented to honor contributions to astronomy and includes an award of $25,000, plus $25,000 to support the recipient's research. 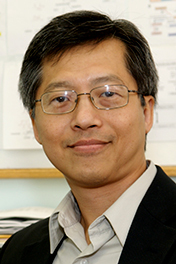 James C. Liao, Ralph M. Parsons Foundation Professor of Chemical Engineering and chair of the chemical and biomolecular engineering department at the University of California, Los Angeles, is the recipient of the NAS Award for the Industrial Application of Science – presented this year in bioenergy. Liao is being honored for his work in the development of industrially viable processes for the generation of biofuels, specifically the metabolic engineering of bacteria to produce high levels of iso-butanol from renewable carbon sources. 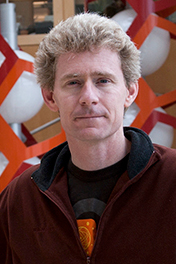 His work represents the cutting edge in the industrial application of synthetic biology, and has important implications for alternative energy, climate change mitigation, and even human health. Established by the IBM Corp. in honor of Ralph E. Gomory, the award and $15,000 prize recognizes original scientific work of intrinsic scientific importance and with significant, beneficial applications in industry. 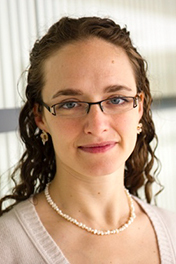 Ueli Rutishauser, assistant professor of neurosurgery, department of neurosurgery at Cedars-Sinai Medical Center, Los Angeles, and Rebecca Saxe, associate professor, department of brain and cognitive sciences at the Massachusetts Institute of Technology, will receive Troland Research Awards. 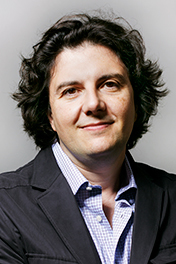 Rutishauser was selected for innovative experimental and computational studies to understand human perception and memory. Saxe was chosen for discovering the part of the human brain specialized for understanding what other people are thinking. Two Troland Research Awards of $50,000 are given annually to recognize unusual achievement by young investigators and to further empirical research within the broad spectrum of experimental psychology. 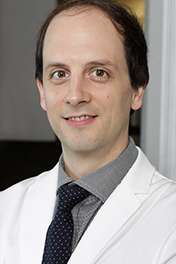 David M. Sabatini, member of the Whitehead Institute, Howard Hughes Medical Institute Investigator and professor of biology at Massachusetts Institute of Technology, is the recipient of the NAS Award in Molecular Biology. Sabatini is being honored for his discovery of the components and regulators of the mTOR kinase pathway and his elucidation of the important roles of this signaling pathway in nutrient sensing, cell physiology, and cancer. Supported by Pfizer Inc., the award recognizes a recent notable discovery by a young scientist and includes a medal and a $25,000 prize. 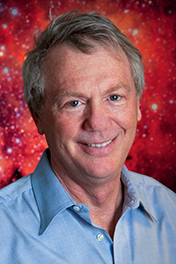 Kelin X. Whipple, professor in the School of Earth and Space Exploration at Arizona State University, is the recipient of the G.K. Warren Prize. 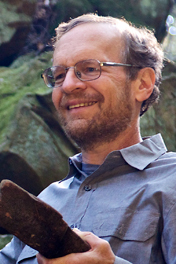 Whipple is being recognized for his studies on the role of fluvial incision as the key process linking climate, tectonics, and landscape evolution. Given to recognize noteworthy and distinguished contributions to fluviatile geology, the award recipient is presented with a $10,000 prize. Also announced earlier this week, James L. McClelland and Elizabeth Shilin Spelke are the inaugural recipients of the NAS Prize in Psychological and Cognitive Sciences. McClelland, the Lucie Stern Professor in the Social Sciences and Director Center for Mind, Brain, and Computation, at Stanford University, is being honored for his role in formulating computational models to demonstrate the spread of activation through brain networks. This work has contributed to solving many puzzles in psychology and enhanced machine methods for perceiving patterns in language and visual scenes. Spelke, the Marshall L. Berkman Professor of Psychology at Harvard University, is being recognized for her outstanding work on the representation of number and of the physical and social world in the minds of infants, children and adults. Spelke’s characterizations of the nature of the representational systems form the basis for formal models of the initial state of neonates’ mind and of the learning mechanisms that underlie the transitions to the adult state. McClelland and Spelke will each receive a prize of $200,000. The prize is funded through a generous donation by Richard C. Atkinson and will be presented biennially for significant advances in the psychological and cognitive sciences with important implications for formal and systematic theory in these fields.